Courtesy | Courtesy Rio Blanco County Sheriff's Office Officials are looking for a plane that took off from Salt Lake City and crashed in Colorado. Courtesy | Courtesy Rio Blanco County Sheriff's Office Officials are looking for a plane that took off from Salt Lake City and crashed in Colorado. Courtesy | Courtesy Rio Blanco County Sheriff's Office Officials are looking for a plane that took off from Salt Lake City and crashed in Colorado. A small plane that left Salt Lake City for Colorado reportedly crashed Thursday in the Centennial State&apos;s snowy mountains. 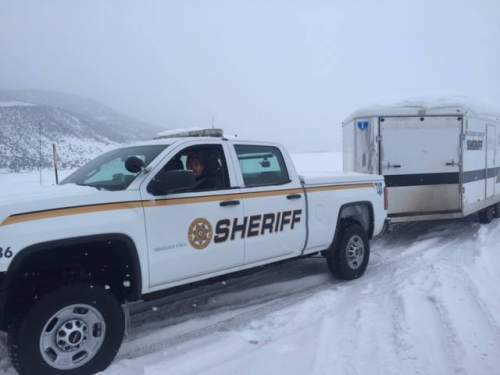 Searchers from the Rio Blanco Sheriff&apos;s Office combed the area Friday and found plane parts and "what appears to be one set of human remains," according to a sheriff&apos;s office news release. Officials had nor to publicly identified the remains. Investigators are unsure of how many people were on the plane, a Bonanza 35 single-engine aircraft that could hold up to six people. The plane was en route to Granby, Colo., on Thursday. 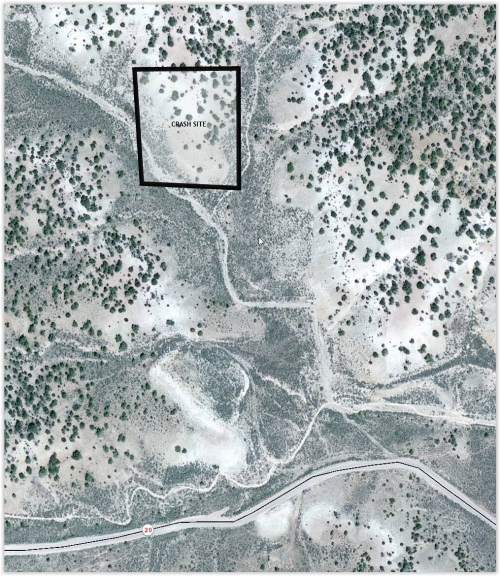 But at about 6 p.m., someone called Colorado dispatchers about a plane possibly crashing about 15 miles west of Meeker, according to the news release. The caller reported hearing a plane rev its engines and bank twice at a high altitude. Then he heard an explosion. Denver Center Traffic Control lost the plane on radar and relayed its last reported location to the dispatchers. By Thursday evening, searchers had found parts of the plane, including a wing, part of the propeller and one tire. When the search resumed Friday morning, they found more parts and the apparent human remains, according to the sheriff&apos;s office.